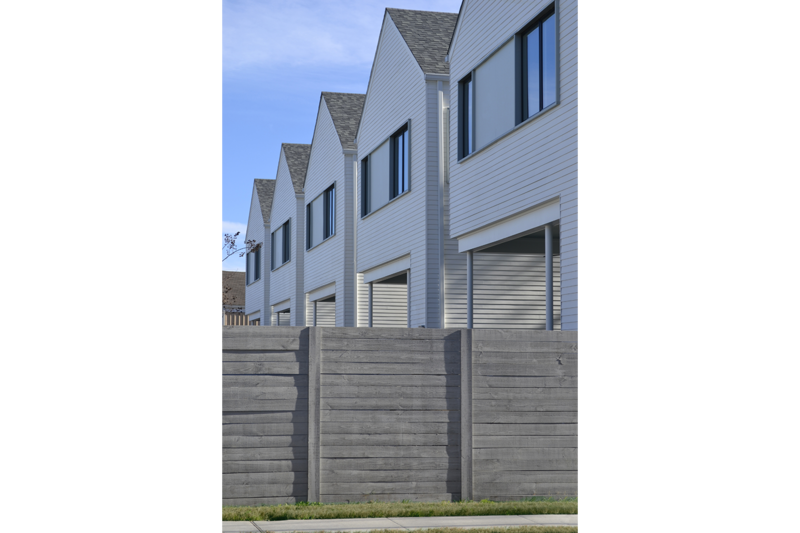 Conceived as a community of five homes in a previously vacant corner lot, these row houses restore the urban grid while responding to the existing light and landscape. 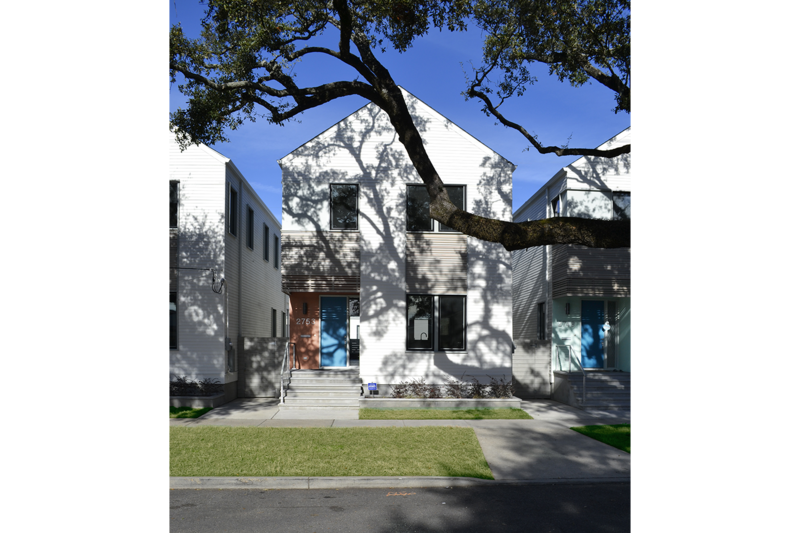 While the opportunity to design a grouping of five houses in a vital, re-emerging, post-Katrina neighborhood was appealing in itself, this site’s southwest orientation and mature 150-year old Live Oak trees presented a unique opportunity to capitalize on the natural environment. 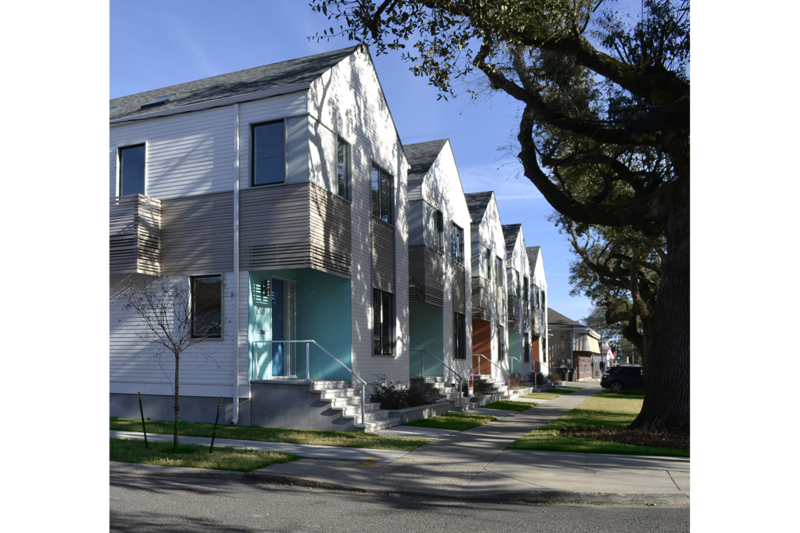 The new houses conform to the neighboring density of shotgun houses, yet are here rebuilt as two-story gable roof masses with carefully grouped windows and white facades. Repetition of simple forms is a powerful design tool, but the series of white facades became a “movie screen” onto which shadows of sculptural tree limbs are displayed to varying effect depending on time of day, season and weather conditions. 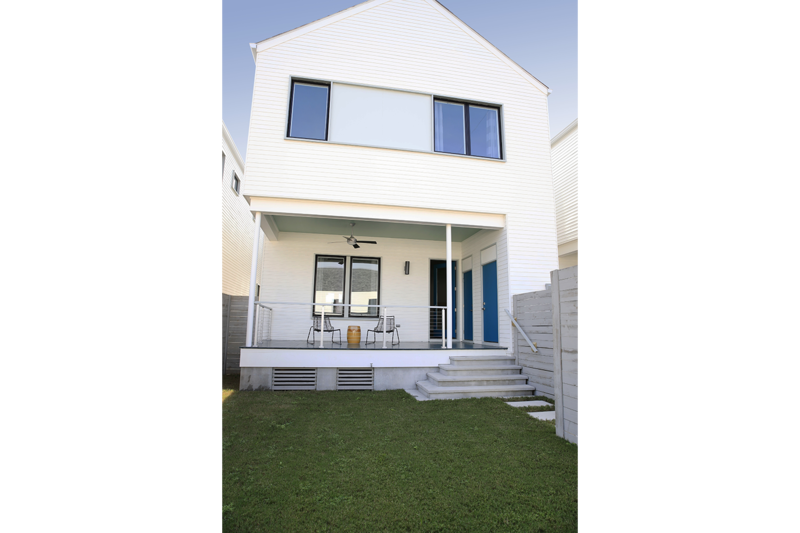 Horizontal slatted screens recall the region’s shutters and further exploit the sun by creating patterns of shadows at each entry porch and front door. Thus, the architectural rigor of repetition is embellished with a gossamer echo of light and trees. 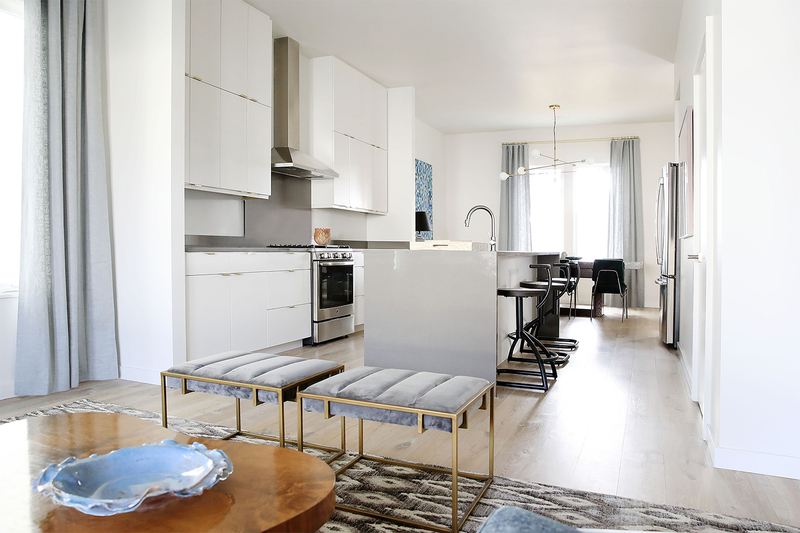 Efficient interior organization, skylights and custom millwork throughout elevate the vernacular housing type into market-rate modern residences. 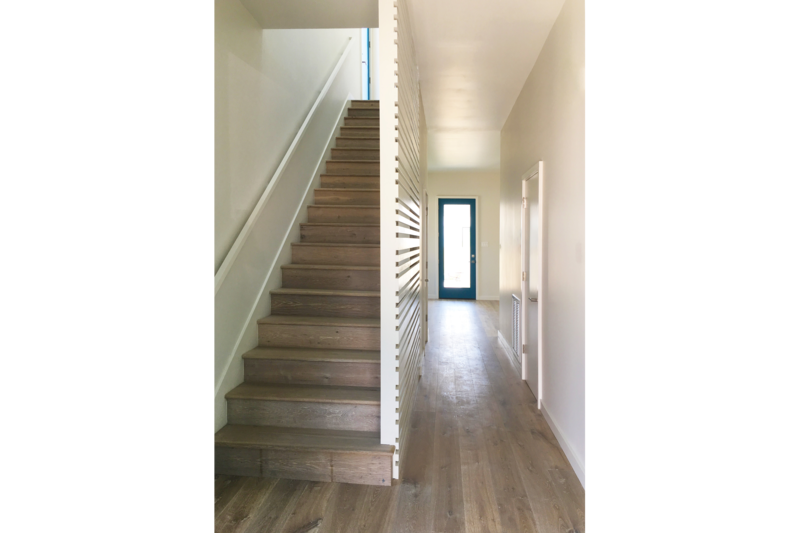 Public living spaces within an open floor plan occupy the ground levels while the upper levels contain four bedrooms and two bathrooms. 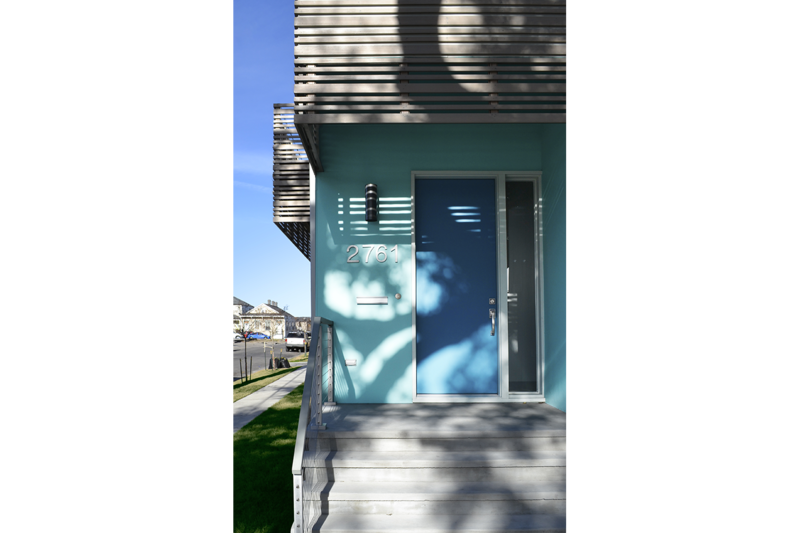 Porches are carved out of the front and rear facades of each home, offering ample outdoor living while responding to and activating the streetscape. 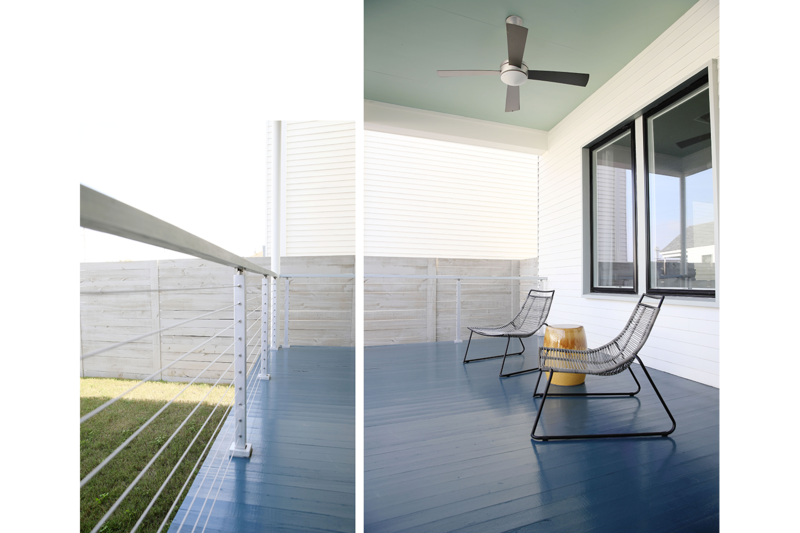 Materials include cement boards and panels, aluminum clad windows and Spanish Cedar screens.